Cremach Pvt. Ltd. is a leading supplier of dependable, high-quality milling machinery designed for the compound feed industry. With an experience of over 4 decades, the company excels in design, fabrication, supply, installation, automation and commissioning of animal feed process machinery. 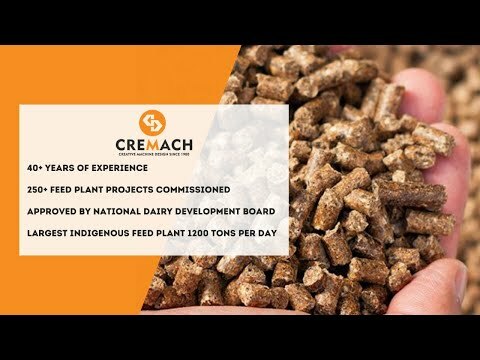 Under the helm of Mr. Paresh Vakil who bestows upon the company, his expert know-how dating back to 1978, Cremach’s expertise lies in process equipment for cattle feed, poultry feed, aquatic feed, feed additive and more. We at Cremach, design and produce a comprehensive range of process equipment according to the latest standards, and incorporating the newest technologies. Our expertise lies in engineering, manufacturing, project management and grain processing. Additionally, we engineer grain storage silo along with large capacity conveying equipment.